Planning a funeral after the death of a loved one is a difficult time for everyone. For most of us, coping with death and planning a funeral is one of the most difficult things we will ever be asked to do. It can be a very emotional and difficult time. There are now a number of different options available to you when planning and arranging a funeral in Sydney, Melbourne, Brisbane, Perth, Adelaide and Hobart. Each option has its advantages and disadvantages and you should choose carefully the best option that meets your individual needs and circumstances. These checklists summarise the advantages and disadvantages of different approaches. Dealing with independent and family owned funeral directors. Funeral homes owned by InvoCare and Propel Funeral Partners work for shareholders, not consumers. Download a FREE copy of our eBook – What Kind Of Funeral? : A self help guide to planning a meaningful funeral. How to plan a personal and meaningful funeral. How to deal with death, bereavement and the funeral process. How to create a unique commemoration of the deceased. How to make informed funeral choices. How to conduct a funeral without using a funeral director. How to administer the deceased’s affairs when the funeral is over. How to manage a digital life after death. How to cope with the loss of a pet. How baby boomers are changing trends in the funeral industry. Finding a funeral director you can trust in Australia can be emotionally and financially difficult, so let us help. With such a competitive market, funeral costs in Australia will vary greatly depending on the company you choose, where the service is held, and the type of choices you make. eziFunerals provide easy ways for consumers to link with newspapers in Australia, to place a funeral notice, express condolences, share direct support for families, and celebrate the people who have touched their lives. Quickly place a funeral, death or obituary notice by clicking a newspaper in your City. Need Help Writing A Funeral Notice? When you’ve just lost a loved one, it can be very hard to find the courage to write an announcement of their death for the newspapers. But announce it you must, so friends, colleagues, associates and more distant family will know of your loss and what the funeral arrangements are, so they can come and pay their respects. It is particularly effective for those friends that you may not have been in touch with for some time. Click here and let us help you write a funeral notice and announce a death. The cost of a funeral notice in most major newspapers is not cheap. What you don’t know, is that most of the larger corporate brands will charge you for the cost of including their business logo. That’s right! You are paying for their advertising on your funeral notice. So next time you ask the funeral director to place a notice for you, ask them to charge you only for your notice and not their business logo: otherwise you will be paying for their advertising. IT’S FREE! You’re in total control. You’ll be guided step-by-step through the process of how to plan your funeral. In a matter of minutes, you’ll have created a personalised funeral plan that records all your funeral wishes for your family. Register as a new Funeral Consumer, or simply login to your account. Select the Plan A Funeral menu option and follow the steps provided in each section. “Details of Person Making Arrangements” allows you to record details you or your family will need for official records. “Details of Deceased” allows you to record details of the person who has passed away or a death is impending. “Details of Committal” allows you to record how you would like you or your loved one to be put to rest. “Details of the Funeral” allows you to record your wishes regarding your or your loved one’s funeral. Each section has help text to guide you through the funeral planning process. To show the hidden help text, click the (?) buttons at each question. We’ll generate an online preview of your funeral plan for you to check. The convenience of online technology means you can prepare your funeral plan anywhere any time you want. You’re able to stop and resume the funeral planning form at your leisure. Once your funeral plan is created, you can store it online, share it with your family, download it, and use it to compare funeral prices from multiple funeral homes in your area before selecting a funeral director that’s right for you and your family. Alternatively, if you need a Quick Quote, you can connect with Sydney funeral Directors by filling in a simple and easy quote request form. However, you can avoid this stress by planning your funeral in advance. Taking a few minutes to pre-plan your funeral with eziFunerals can save your family time, money and unnecessary grief. Funeral Guardians play an important role in ensuring your wishes are carried out. Funeral Guardians are people you designate to be notified upon your death and execute your advance funeral planning wishes. Whereas a will sets out how you want your property and possessions to be divided after your death, eziFunerals innovative funeral planning platform links your personal funeral plan with your nominated Funeral Guardian. Select the My Funeral Guardian menu option and follow the steps provided in each section. You’re Funeral Guardians, will be sent an email where they can accept or decline your request. If they accept, they are sent an email and are asked to store this in a safe place. Upon your death, they will be required to produce a Medical Certificate of Death. Once your death has been confirmed, your account will be unlocked to access your funeral plan. NOTE: Choose your Funeral Guardians wisely. They should be people you can trust with personal information. If a relationship changes with one of your Funeral Guardians in a negative way, you should remove them from your account. Here we address some common funeral misconceptions about funeral planning a funeral in Australia. While that may be true, it’s not fair to leave your family with all of the decisions during a time of grief. Taking a few minutes to get things in writing can save your family time, money and unnecessary grief. When there is a death, reason and logic are hard to come by due to grief. Decisions need to be made about what type of funeral you want AND how to handle your money and estate. How much money should be spent on your funeral? How would you like to say your final goodbye? Who does? Much like making a will, pre-planning is another great way to safeguard those you love and provide security for your family. You make all the decisions in advance so in the event you pass, thing’s run smoothly and your loved ones can focus on celebrating your life and grieving as they should. Maybe you have mentioned in passing that you’d like to be cremated or where you want your funeral, but most families when they come to us without a plan feel overwhelmed and confused, trying to remember their loved one’s wishes among the surge of grief. Sometimes this even causes turmoil and family disagreements during this painful time. It’s much more considerate and economical to make plan your own arrangements in advance. We all are and no one wants to take their spare time to plan a funeral that they don’t foresee anytime soon, but no family has ever regretted that their loved one made pre-arrangements. In fact, it’s a gift you give your family in their time of need. Unlike a funeral purchased at the time of death, pre-arrangement allows you to choose from a variety of payment options as well as lock in today’s prices, safeguarding your family from inflation. It removes the financial burden from your loved ones. We can help you make a payment plan that is right for you. No insurance policy dictates where to have a funeral or how much to spend on it. It simply provides the finances. Without a plan, money intended for a child’s education or a widow’s income could be spent on funeral services. Simply having your wishes on file with us can prevent emotional turmoil for you family. You may have stated your desire to be cremated in your will. The problem is, many times, your will isn’t read until long after the funeral takes place. Then, it’s too late for your wishes to be carried out. And, your will probably doesn’t state whether you’d like a service or where you want your ashes to be scattered. Perhaps you grew up in another town and still consider that “home” or you are thinking of moving there in the future and are uncertain where you will have your funeral. You can make all the decisions about the details of your funeral arrangements on our site and that plan can be accessed online, anywhere, anytime. The death of a close family member can have a big impact upon your income. To help you adjust and depending on your individual financial circumstances, you may qualify for a Bereavement Payment if you were receiving an eligible social security payment at the time of your loved one’s death. However, claim processing takes time and important details and decisions will still need to be made. That’s easy! If you want to plan your funeral in advance, are uncomfortable with searching for a funeral director, don’t know who to trust, want to save money or simply wish to avoid a sales focused environment, then eziFunerals would be suitable for you. Don’t feel pressured to go with the first funeral director you see or the one everyone you know used. Although, it may be emotionally difficult for you to ‘shop around’ for funeral services, it makes sense that you should use the same techniques you use with any other major purchase. The cheapest funerals in Australia can start around $1,995 for a no service, no attendance cremation. We looked at the average cost of funeral in Australia and found that the average funeral costing around $8,357. When you then add on the average additional costs (such as a coffin, transfer fee, celebrant, funeral flowers, newspaper notices, headstone and cemetery fees) then you’re easily in excess of $20,000 for a burial. Although many funeral directors offer various “packages” of commonly selected goods and services that make up a funeral, you do not have to accept a package offered by funeral directors. Our experience is that funeral homes that provide prices online tend to be cheaper than those that don’t. Itemised pricing allows consumers to pick the specific goods and services they want and compare costs. That’s important given the wide disparity in funeral-home prices, even in the same area. For more information on funeral costs you can see our articles on Understanding Funeral Costs. Contact one of our funeral directors in your City who are more than happy to discuss your options and make sure you get a fair and affordable funeral so you stay within your budget. Here are some ways to get a cheap funeral! It is possible to organise a DIY cremation or burial yourself without using a funeral director providing you obtain a Single Funeral Permit and comply with the relevant State requirements. By obtaining a Single Funeral Permit you become the ‘Funeral Director’ and it is your responsibility to arrange all permits and applications as well as all other matters associated with the funeral. 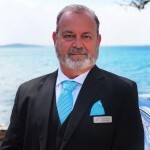 If you need a Quick Quote, you can connect with Sydney funeral Directors by filling in a simple and easy quote request form. Quotations from funeral directors in Australia are often presented in three parts. These fees are usually not itemised in the quote from the funeral director. These fees cover the services funeral directors provide using their own resources. Generally these tasks include collecting, transporting, and preparing the body, and providing chapel or viewing facilities as well as staff, a hearse and mourners’ cars. The fees will vary according to which funeral director you use and the level of service you choose. Coffins and caskets are usually the most expensive item in a funeral, with the average cost of a coffin or casket being between $1,000 and $4,000 however some coffins or caskets may be more than $15,000. The good news: Discount suppliers in Sydney are growing in number, from independent online sellers like Scientia supplying the Chinese and Italian-made coffins and caskets to Costco, at a much cheaper price. These fees are charged by a third parties which the funeral director pays on your behalf. Necessary disbursements include the fees charged by a doctor for medical certificates and permits or fees charged by a cemetery or crematorium. Other disbursements may include newspaper notices, flowers or refreshments you have requested. The funeral director should only pass the actual cost on to you. eziFunerals has prepared a checklist to help you compare prices from the different funeral directors in Sydney. 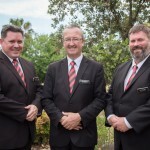 If you need a Quick Quote, you can connect with Sydney funeral Directors by filling in a simple and easy quote request form. Many people feel so devastated and overwhelmed at a time of death that they assume they should leave all the funeral planning to the funeral director. We believe – ‘that’s like giving the funeral director a blank cheque.’ eziFunerals online funeral planning tools allow you to plan the funeral from the comfort of home – without a funeral director present. Being actively involved in funeral planning can be very therapeutic, and you won’t be grieving over the bill later. See our blog What should I do if someone dies? People often think that how much they spend is a demonstration of how much they love someone. And spending is often used as a way to make up for perceived omissions – “I should have visited the nursing home more often.” Don’t worry. You are amongst friends and you won’t be judged by the amount spent on the funeral. See our blog Avoid a funeral R.I.P Off. If your mother had always said she wanted something “simple” and you aren’t sure what she meant, you may end up purchasing a great deal more than something truly “simple.” Or perhaps your mother told everyone what kind of funeral she wanted, but she had no idea that it would cost far more than anyone could afford. Otherwise you could be still paying for the funeral many years later after they died. We recommend you start the conversation with your parents while they are alive and pre-plan their funeral using eziFunerals online planning tools. See our blog Plan your own funeral today. Funeral marketing and advertising today commonly refers to a “traditional” funeral package (meaning elaborate and a good profit margin for the funeral company), with one funeral often looking just like the next. Families can enjoy making their own traditions. A unique and personalised funeral service is what others will remember, irrespective of the cost. Plan a unique and personalised funeral with eziFunerals planning service. Remember: You are among friends. You may feel obligated to put on a big “show” when the deceased has been prominent during his or her lifetime. Both David Bowie and the novelist Anita Brookner, went for “direct cremation”, where the body is sent straight to the cremator from hospital or home, with no attendance or ceremony. Ashes are returned to the family allowing family and friends to celebrate their life and relationships several months later, in a place special to them. 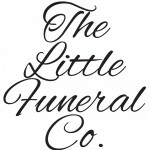 See our blog No fuss funerals. Many assume a funeral will cost just about the same anywhere. Or perhaps there’s only one funeral home nearby, so why bother. Surprisingly, you can save thousands of dollars-if you take the time to plan your funeral and get quotes through eziFunerals, before the moment of need. See our blog The high cost of funerals: Shop around. 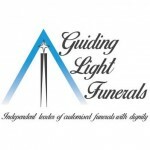 This is related to the previous item but is especially important if you choose a funeral home without shopping around. eziFunerals protects a consumer’s right to choose only those funeral goods and services you want. Although some funeral homes are reluctant to disclose itemised prices, our members are only too happy to provide this information to you based on your personalised funeral plan created through eziFunerals. See our blog How to avoid expensive funeral packages. Most people know what’s involved in buying general goods and services and if they thought they were an outrageous price; they probably would stop buying them. Yet few consumers realise that coffins may be marked up 300-500% or more. The coffin is usually the most expensive item in a funeral, with the average cost of a coffin or casket being between $1,000 and $4,000 however some coffins or caskets may be more than $15,000. See our blogs Save money on coffins and Are you confused by funeral costs? If a funeral home price list includes a statement regarding cash advance items that reads: “We charge you for our services in obtaining these items,” did you realise that the funeral director will be making a profit on placing the funeral notice, for example— something you could have done yourself? You’ve been warned in writing, but how much extra will that cost? See our blog How to announce a death. How to choose a funeral director? How can you tell if a funeral home is independent? Finding a funeral director you can trust in your City can be emotionally and financially difficult, so let us help. With such a competitive market, funeral costs in Australia will vary greatly depending on the company you choose, where the service is held, and the type of choices you make. Depending on what you need, some will specialise in certain religious ceremonies while others offer many different types of service. Most funeral directors will generally offer a fixed package and have different pricing structures, so it is important that if you don’t pay for things you don’t want or need and stay on a budget. Apply the smart shopping techniques you would use for other major purchases. Plan ahead using eziFunerals online planning tools. Ask for an itemised price list. Understand funeral costs and charges. Try to avoid emotional overspending. Recognise and understand your funeral rights. Read customer ratings and reviews @ ezifunerals.com.au. Get an itemised quotes from multiple funeral directors. You might not know it, but a multinational corporation called InvoCare owns 42% of the funeral homes in NSW. This means that there’s a good chance that most of the funeral brands you’ve heard of are owned by this corporation. There are a number of other companies that own multiple funeral brands in Australia but not on the same scale as InvoCare and Propel Funeral Partners. Choosing between a corporate or family-owned funeral home is a personal question. Corporate funeral homes are often able to charge a premium due to brand recognition and the belief that their services will be of a higher professional quality. On the other hand, independent funeral homes in Australia work for consumers and not shareholders of publicly listed companies, InvoCare and Propel Funeral Partners. They are often more connected with the communities they serve and have more freedom to tailor funerals to reflect the wishes of the family (rather than being bound by strict package options). No. Unlike other funeral comparison sites, eziFunerals does not receive commissions from Clients final decision-making. Our sole purpose is to provide the information clients need to make a well-informed decision and get value for money. From time to time, the funeral may not have gone to plan, or you may feel that the funeral director did not provide the service you had been promised or paid for. Under the Australian Consumer Law, suppliers automatically provide guarantees about the services they supply to consumers. This includes providing services with due care and skill and ensuring such services are fit for any specified purpose. Where consumer guarantees are not met, consumers have a right to a remedy which may include a refund or compensation. The first thing to do is to clearly explain your problem to them and to ask what they can do to rectify the matter. Disputes can be the result of misunderstanding so it is important to remain calm but firm. You might also seek assistance from whichever industry association the funeral service provider belongs to — look for the name on any paperwork you have received. These associations usually have a system for reporting complaints about members. If you exhaust these avenues you can contact the Office of Fair Trading or you may lodge a formal complaint if approaches to the funeral service provider have been unsuccessful. The important thing to remember is to keep all your paperwork and receipts, as well as records of dates, who you speak to, and what was discussed. Cemeteries and crematoria in Australia are generally governed by Cemeteries Acts and boards. They may be publicly or privately owned and are becoming more commercially minded and profit focused. Cemeteries privately owned by InvoCare, a publicly listed company on the Australian stock exchange, are not listed on our website and are not affiliated with eziFunerals. If you are planning on a dual service that starts at the funeral home chapel and then moves on to the cemetery or crematorium, you should also consider where the funeral home is in relation to your selected final venue. You don’t want friends and family having to drive overly long distances to reach the cemetery or crematorium for the final committal ceremony. Most of the time the decision is simple as there may be family plots or historical attachments to certain venues, but if you don’t have a set venue, it’s definitely worthwhile visiting a few locations to see the grounds and facilities.